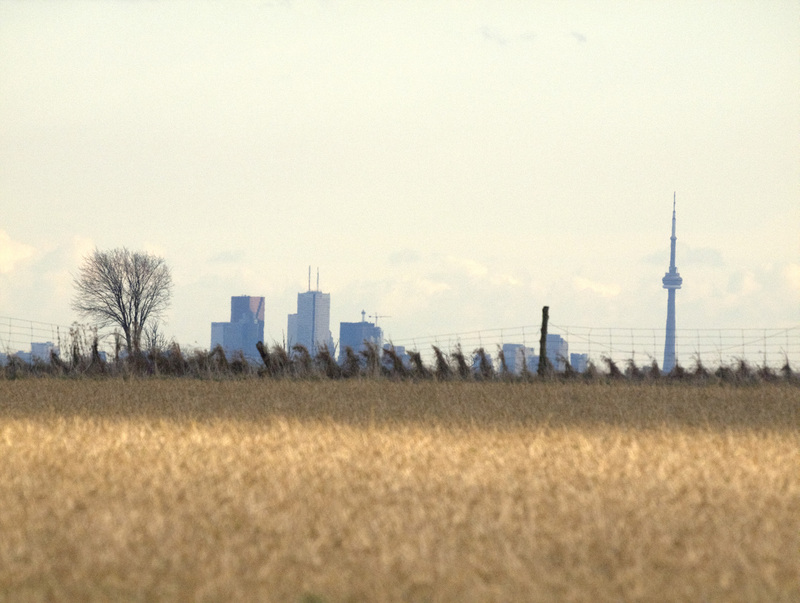 Here is a photo I took this past weekend of the Toronto Skyline from Caledon, I forget the exact location but I think it was somewhere along Old School Rd/Healey Rd. I think it shows a good contrast of the urban epicentre looking over the farm lands of the rual Caledon area. Still hard to believe this was taken in what should be the dead of winter yet it looks like and feels like fall still with all this unusual weather.